Thousands are gathering to march through central London calling for a second EU referendum, as MPs search for a way out of the Brexit impasse. Demonstrators from the ‘Put It To The People’ campaign will march from Park Lane to Parliament Square, followed by a rally in front of Parliament. 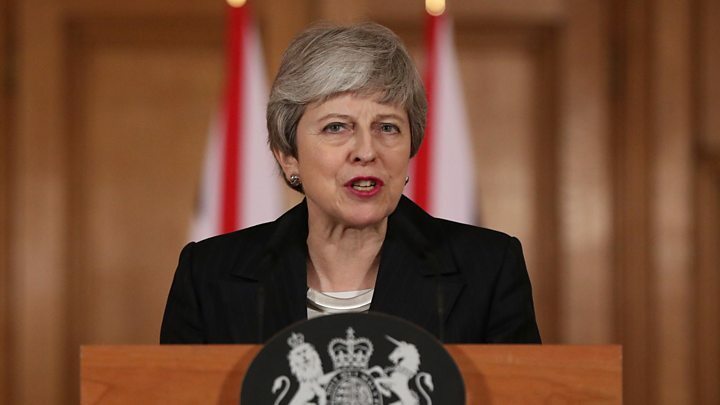 Unless that deal is passed by MPs, the UK will have to come up with an alternative plan or else face leaving without a deal on April. Meanwhile, a record-breaking online petition on Parliament’s website calling for Brexit to be cancelled by revoking Article 50 has attracted more than 4.15 million signatures. Ms Sturgeon said now was “the moment of maximum opportunity” to avoid a no-deal Brexit. He said all the other alternatives would require MPs asking for a much longer extension, which Mrs May has said she is not prepared for. The march comes as the pro-Brexit March to Leave, which started in Sunderland a week ago, continues towards London. 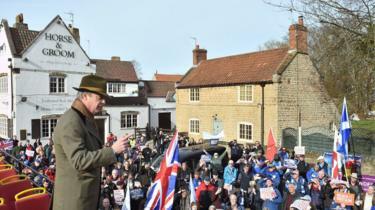 Former Ukip leader Nigel Farage re-joined the March to Leave in Linby, near Nottingham, on Saturday morning telling around 200 Brexit supporters that Mrs May had reduced the nation “to a state of humiliation”. Speaking from the top of an open-top bus, Mr Farage said those gathering for the People’s Vote march in London were not the majority, before leading the crowds through the village. Meanwhile, by 11:32 GMT on Saturday, the total number of signatures calling for Article 50 to be revoked stood at 4,151,815 – beating the previous record reached by another Brexit-related petition in 2016. Margaret Georgiadou, who set up the petition, tweeted earlier that she had “received three death threats over the phone”, she also said she had closed her Facebook account after receiving a “torrent of abuse”. Parliament’s petitions committee tweeted on Friday that the rate of signatures was “the highest the site has ever had to deal with”, after the website crashed.